Our family dinner plan enables your entire family to eat delicious, home-cooked meals that are both fast and healthy. We make them easy for anyone to enjoy. 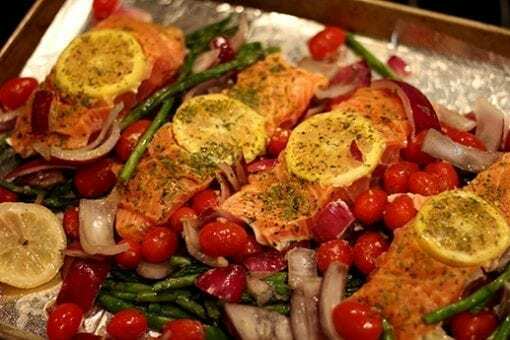 Our prepared meal delivery service drops them off at your home, then you simply pop them into the oven to heat and serve. 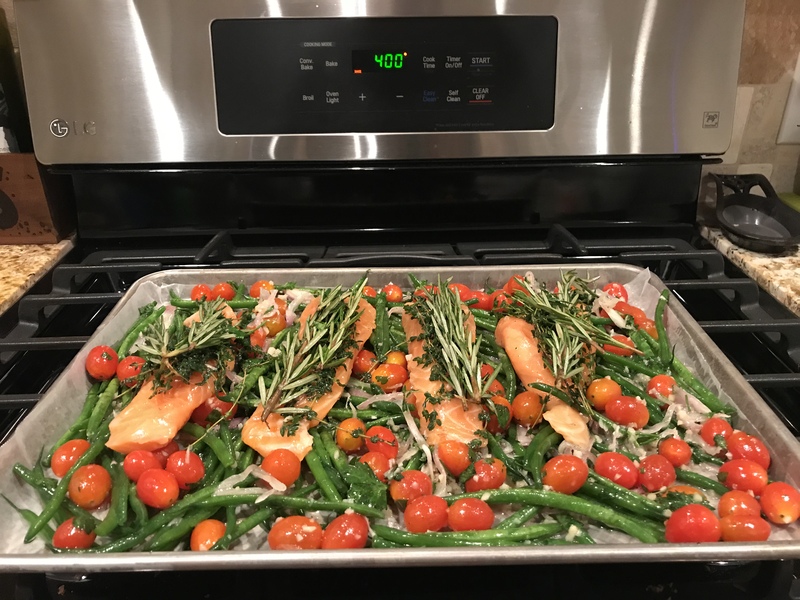 This way, you can enjoy flavorful, nutritious family dinners – without the stress of finding healthy family meal prep recipes, grocery shopping or preparation. Every week or few weeks, we change up our meals to keep the recipes fresh and to utilize seasonal produce, like squash in the fall and strawberries in the summer. This makes meal planning for busy families easy. 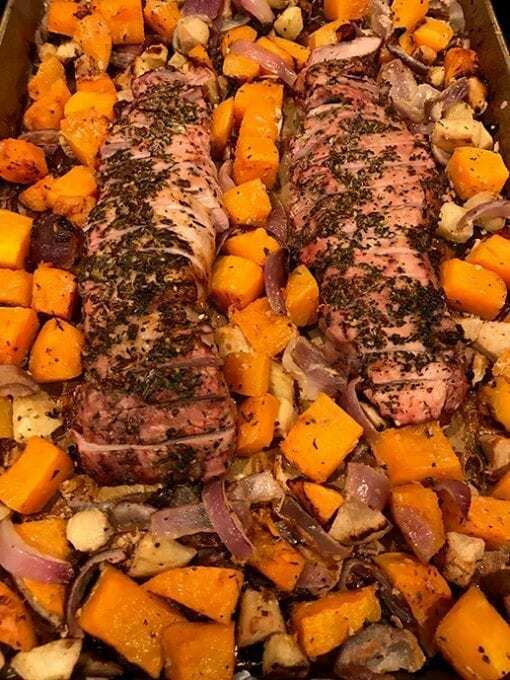 Our juicy, pork tenderloin is seasoned with an aromatic herb mixture. Mouth-watering and tender, this family meal includes ingredients like butternut squash, red apples, and onions. The heart-warming flavors of this pork and butternut squash recipe will instantly remind you of home cooking. This gourmet delivery meal includes delicate chicken breast that’s in a creamy, savory peanut sauce. The foundation of this sauce includes peanut butter, sesame oil, spicy sriracha, and a dash of lime zest. Broccolini is the perfect pairing in this healthy family recipe. It is a natural hybrid of broccoli and Chinese chard, distinctive for its smaller florets and sweeter, tender flavor. 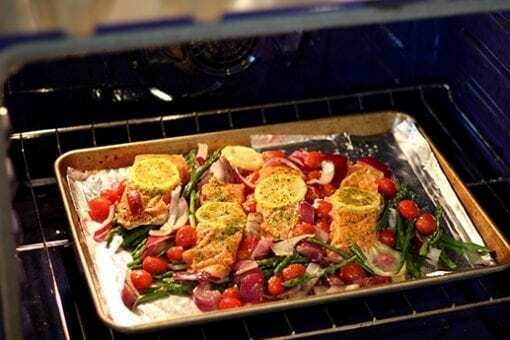 Enjoy heavenly salmon with savory, tender asparagus that’s seasoned with our own mix of herbs. It’s served with a fresh cherry tomato and pistachio gremolata, which is made with red onion, parsley, pistachio, garlic and a bright pop of lemon zest. This healthy family meal includes chicken breast that’s marinated with our own special maple BBQ sauce, making for incredible maple bbq baked chicken. On the side, it’s served with delicious, baby red potatoes, with mustard and tomato sauce. Wondering how is Steak Diane served? Well, this is how we do ours: Tender, crispy chuck roast, drizzled with a sauce of garlic and seasoned meat drippings. This is served with exquisitely flavored carrots and shallots. Get excited for chicken breast, flavored with our house seasoning mix and marinated with a spicy-sweet honey, ginger, and orange marinade sauce. It’s honey garlic jerk chicken in the truest jerk style. It’s served with bell peppers, garlic and onion. Looking for One Person Meal Delivery? If you only need food for one this week, we offer some great single family meals. Check out our Individual Meal Prep in San Diego. *subject to change, example menus are possible menu items. Delivered items vary weekly and seasonally.